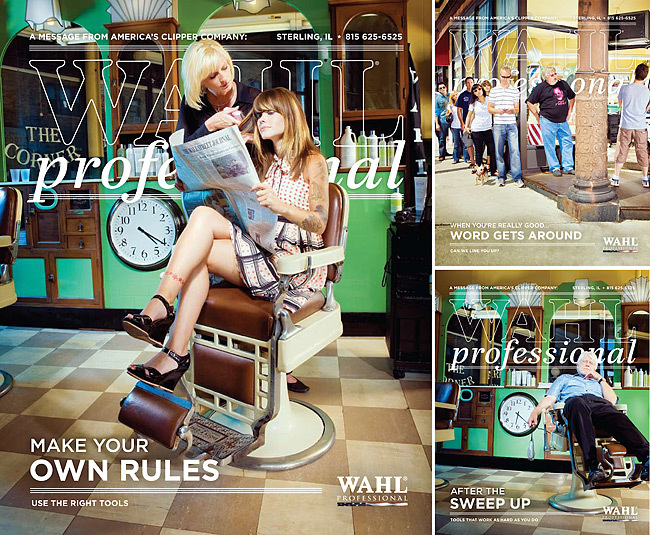 Here's a few ads I shot with Grip for Wahl. Just like every profession, there's the Crème de la Crème. Wahl is one of those companies in their industry. Sure, all of us have had our hair buzzed, shaved, curled, blow-dried, clipped and trimmed by hair products in our barber shops and salons. But have you been Wahl'd? You'd know. Quality. Perfection. Innovation.